I picked up these foundations having heard good things so decided I’d try it out myself. I chose No.53 & No.54 as I wasn’t sure which one was best as I was tanned at the time of purchasing them. At the time Boots had a special offer two for €13 which was a lovely surprise when I was paying at the till. 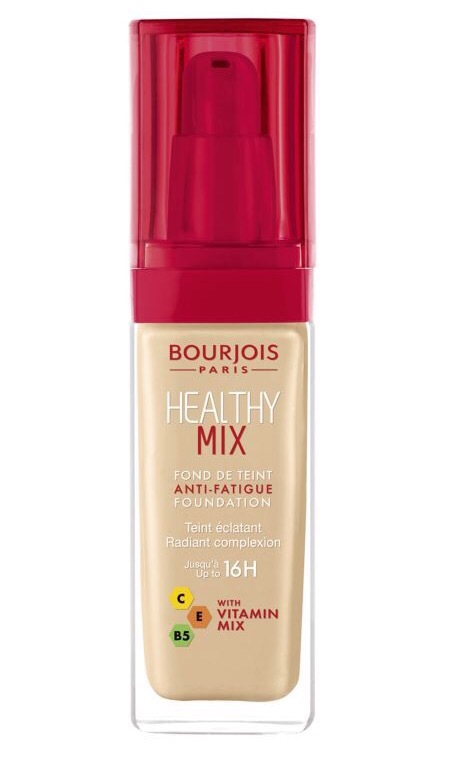 This anti-Fatigue foundation claims to instantly erase signs of fatigue for a flawless finish giving a fresh and healthy looking complexion lasting up to 16 hours with the aid of Vitamins C,E and B5. I have been using this for 2 weeks and have found its good on my dry skin as it didn’t cling to dry areas but coverage was not sufficient so I used some of my trusty concealer to conceal under my eyes and on any blemishes. The No.54 colour was perfect when I was wearing my false tan and it blends really easily. I apply my foundation with my hands and always set my foundation with powder to set it and get the whole day from it as I don’t have time to touch up my foundation. Overall I was happy with this foundation and would recommend it as a cheaper alternative to high end brands especially good for budget and great if you prefer to keep your more expensive cosmetics for the weekend. 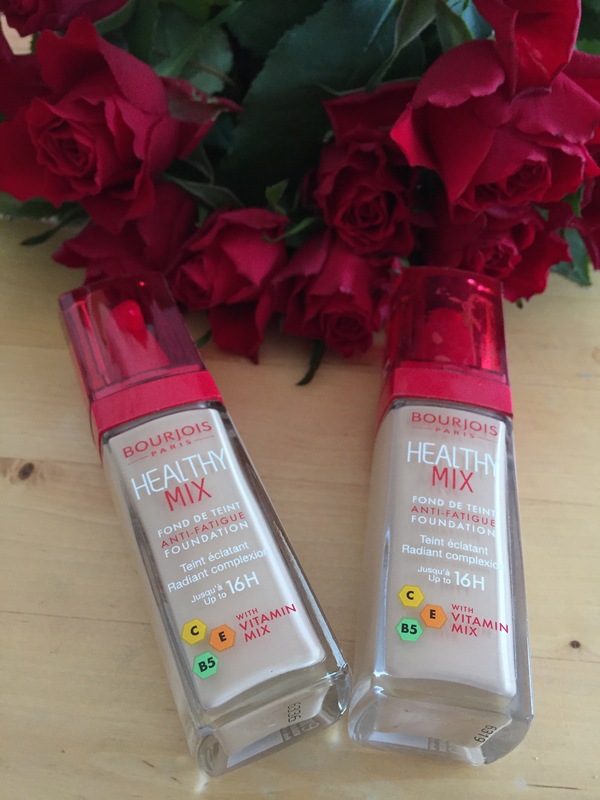 Bourjois Healthy Mix foundation RRP €13.99 but Boots have their 3 for 2 on Bourjois products at the moment.